Towing systems are an important part of your rescue and safety toolkit. Always carry towing gear appropriate to your paddling activity and environment and know how to use it. Your craft should have appropriate attachment points for towing or being towed. Your towing system (and all your safety gear) should be accessible and easy to deploy. For kayaking on the sea and lakes you should carry both a Contact Tow line and a 15m Tow line in an accessible place - you never know when you might need them in a hurry! Practice with them so you can set them up quickly and tow effectively for some distance. A 15m length is optimum and fairly standard across kayaking clubs around Australia. It is a length that allows some separation when towing in a following sea - you don't want the towed kayak catching up to you on a wave. Choppy conditions are also the reason we recommend towing with the rope attached to your kayak, not your body - a body tow in waves is very uncomfortable. Having a standard length towline allows two kayaks to perform a V-Tow side by side, assisting communication and keeping both lines tight. You should also have a safety knife attached to your PFD in case of entanglements or jams. Practice deploying your tow rope so you can do it in all conditions without it turning into macrame! The location of tow points on your kayak is generally near your hip or slightly behind - you need to be able to reach your tow point or set up a quick release system. 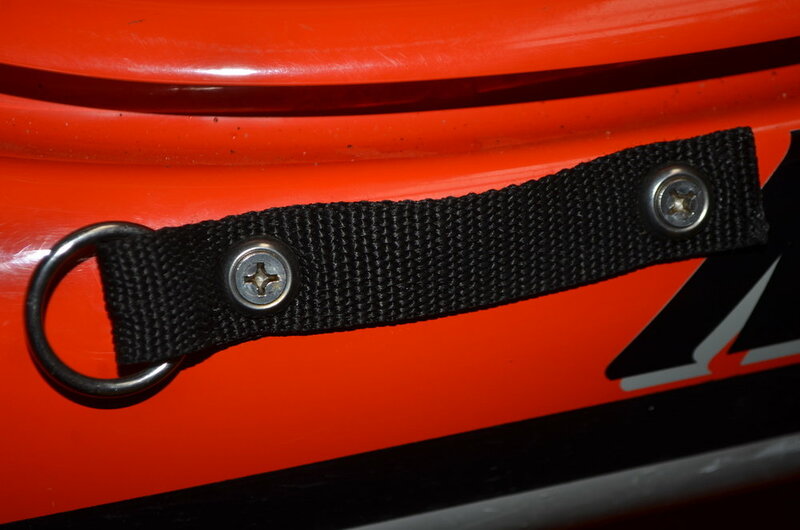 A tow point may be as simple as a loop of spectra through a deck fitting (a suitable knot is a double fisherman's) or the tape and ring construction that can be added to existing seat fastening such as those on the Mirage Sea Kayak. Attaching your tow line to deck bungee cord is generally not a good idea. A short line tow is used for contact towing - when a kayaker is unstable or incapacitated and the best option is to attach the rescuer to provide support. The towline attaches between the deck lines (far side of both) of the two kayaks, with the rescuer facing the rescuer and paddling over the top of their kayak. The rescuee leans on the bow of the rescue kayak for stability. A quick release on one end is preferred (attach to rescuee side). Short lines are also handy for tying up your kayak at night on the shore or towing it when walking through shallow water. On moving water the emphasis is less on towing distance and more for rescue and getting out of tight places. See our next section on Whitewater Rescue Kits for more information on rescue gear used in swiftwater situations. Towing systems can be attached to the PFD of the person performing the tow (rather than boat-to-boat). 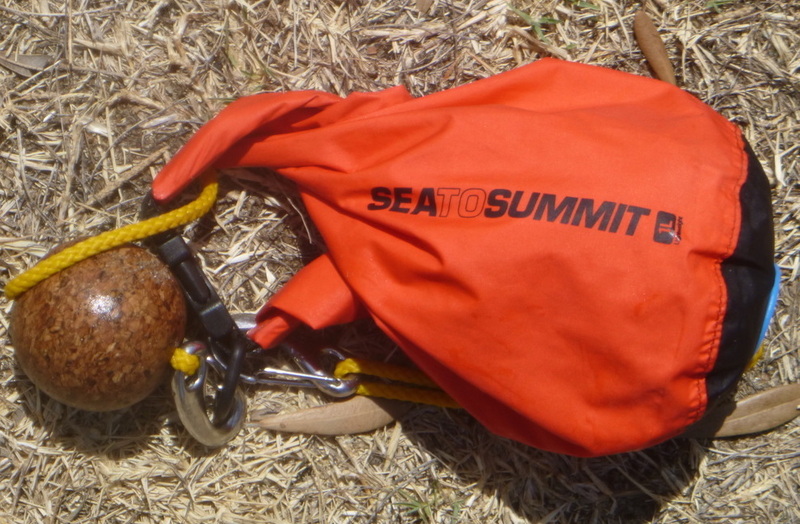 A body tow is attached via a quick release waist belt on a Rescue PFD such as the Kokatat Guide PFD or Sea To Summit Leader PFD. Neither this page nor the information on the Whitewater Rescue Kit page are intended as replacement for formal instruction with a qualified Instructor.